Thanks to archeological work carried out in 1960, the remains of a pre-Deportation Acadian dwelling were located. 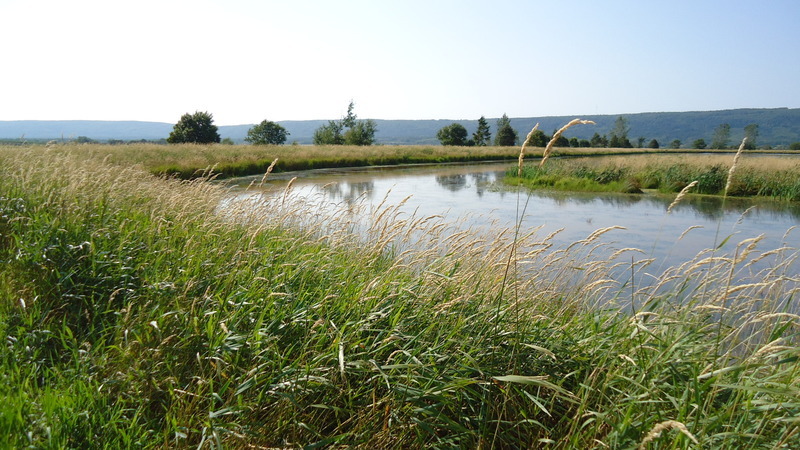 Known as one of the first Acadian permanent settlement sites, the Belle-Isle Marsh is in part protected by the Government of Nova Scotia since 2010. 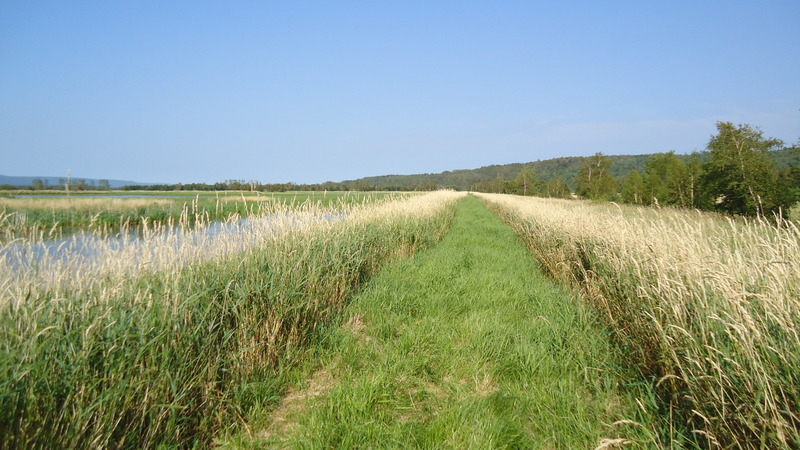 For those who enjoy walking in a wonderful landscape, visit Belle-Isle and hike a 8.5 km trail through the marsh. The Belle-Isle Marsh has a particular symbolism. It is here, that Mathieu Martin, the first born in Acadia, saw the light of day around 1636-1637. His father, Pierre Martin, was a farmer, like the majority of the inhabitants. Mathieu Martin became a weaver. Belle-Isle also had a blacksmith, Pierre Lanoue senior, two merchants, Guillaume Blanchard and Michel Lafond, as well as an officer of the militia, Pierre LeBlanc. Although most of the land is predominantly owned by lords, the inhabitants of Belle-Isle Marsh purchase the land back from the Crown, giving them autonomy as of the 17th century, a rare occurrence for the era. Between 1714 and 1748, the population of Belle-Isle increases from 14 families (77 individuals) to 30 families (approximately 165 individuals). In the 18th century, Belle-Isle is big enough to become the Parish of Saint-Laurent. In 1755, Colonel John Handfield is entrusted with the mission to deport the Acadians from the Annapolis River. His wife’s maternal grandmother, Madeleine Bourque and his grandfather, Pierre Maisonnat also known as the Baptiste, were both Acadians and had several acquaintances at Annapolis. This close relationship makes the task difficult and demonstrates the close ties between the officials responsible for the Deportation and its victims. Handfield begins the exile of the Acadians in the Grand-Pré area. Having heard of these events, the inhabitants of the Annapolis River, including those of Belle-Isle, flee in the woods before the Colonel arrives and take refuge at Morden. It is estimated that 20% of the population of the Basin, approximately 30 people, managed to escape.